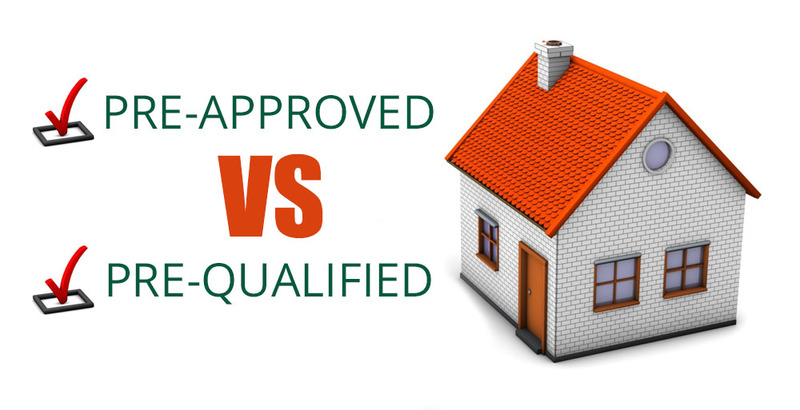 Pre-Qualified vs. Pre-Approval – Do you Know the Difference? Home Buying Tips. You have decided to buy a home, and you’re ready to make an offer. With most offers to purchase, you will be asked to also provide a Pre-Qual or Pre-Approval letter. This is provided by a lender of your choosing who will do a quick review of your financial situation to determine if the home you are buying is a right “price fit” for you. The sellers also want to know that you can afford to purchase the home. Getting pre-qualified and/or pre-approved for a loan is the first step in your home-buying process, unless you’re paying cash. In a competitive market, knowing whether to get “qualified” and/or “approved” could be the difference between buying your dream home and losing it to another buyer. So what is the difference? What does getting Pre-Qualified mean? A Pre-Qualification Letter is provided by the lender, and it states the approximate amount of money that the lender has decided you will probably be eligible to receive from a loan company. All you have to do to get pre-qualified is provide the lender your amount of income and any outstanding debt. The lender will then take that “unverified” information and determine how much money you are likely to be approved for by a lending company. However, there are no guarantees you will actually be approved for this amount. The benefits of obtaining a Pre-Qualification Letter is that the lender doesn’t have to run a credit check, there are no associated fees, and it helps provide you with an estimate of what you can afford. The disadvantage is that some sellers will not take your offer seriously until you have been pre-approved. What it means to get Pre-Approved? Being “pre-approved” means you’ve actually gone through the process of being approved by a lender for a specific loan amount. To get pre-approved, you will need to provide documented financial information like pay stubs, w2 documents, and bank statements, and a credit report will be run. This information is reviewed by the lender. Once the lender completes his/her analysis, you will receive a letter that states an “approved” loan amount for which you currently qualify. The benefits to having this letter is to give you negotiation power, and it allows for you to close faster. There are no fees associated with a pre-approval; however, it does require paperwork, documentation, and a small hit to your credit score. Keep in mind that neither getting pre–qualified or pre-approved guarantees you a loan. You still have to complete the entire application process with your lender. If you are thinking about buying a home in the near future, talk with a lender today. Team Anderson Realty can recommend an excellent Lender – call us at 919-610-5126 for more details.